Sunday, September 23rd: Mandatory Potential New Member Orientation, 1:30 P.M. Registration is now OPEN! Registration will remain open until September 22 at 10:00 A.M. No late registration will be accepted! Legacy information, if applicable. A legacy is a woman who has an immediate relative that is a member of a sorority. Every chapter’s standard of a legacy differs but usually, it includes mothers, sisters, grandmas, and sometimes great grandmothers and aunts. Please check appropriate chapter legacy information by reviewing the individual organization’s policy by visiting the chapter’s inter/national website. You may upload a digital picture of yourself and a resume, although both are optional. The picture can be anything from your Facebook profile picture to a senior picture! The resume must be in PDF format. PNM shirt required, pair it with anything comfortable for you. Think an average day at school! Think a casual interview or lunch date with friends! Think a nice brunch with your family! Think an awards banquet or graduation! Wear whatever you are comfortable in! Each chapter will provide shirts for their new members. Each chapter has a financial requirement, which is important to take into consideration before registering for Recruitment. Membership fees vary by sorority, but they typically include membership dues, house fees, and room and board if you live in the chapter house. Living in the chapter house is a good way to decrease cost and often cheaper than many other on and off-campus housing options. Many sororities offer online payment and payment plans. You can anticipate total fees using the projections below. 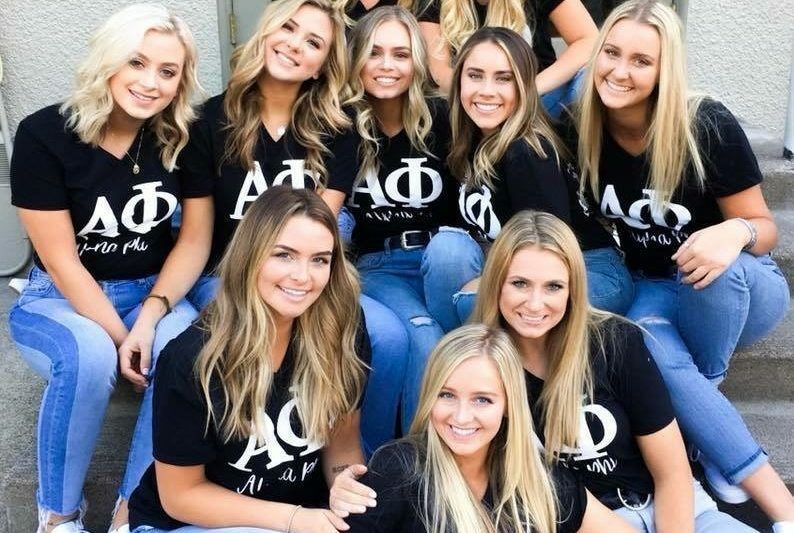 HOW DO I KNOW WHICH SORORITY IS RIGHT FOR ME? The formal recruitment process at the University of Oregon is values-based and follows a mutual selection process. Values include Scholarship & Learning, Community Service & Philanthropy, Brotherhood & Sisterhood, Leadership Engagement, and Community Engagement. Although the process may be confusing, our trained Recruitment Counselors (Rho Gammas), will guide you through the decision-making process using your PNM Pamphlet. When deciding, it’s important to think about which chapters’ values align with yours the most and where you can see yourself being the most comfortable. IS THERE A MINIMUM GPA REQUIREMENT TO JOIN A SORORITY? 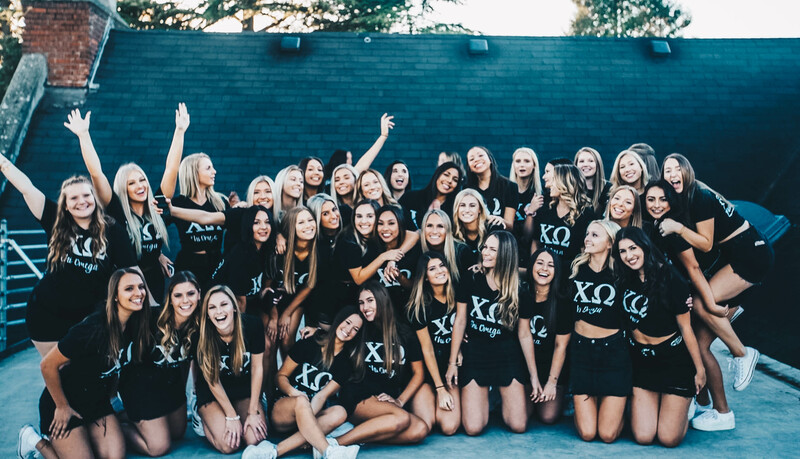 While Panhellenic has no minimum grade point average to participate in formal recruitment, each sorority strives to maintain a high chapter GPA, higher than the average UO Women’s GPA. Therefore, each must consider a woman’s ability to adhere to the chapter’s scholastic standards. 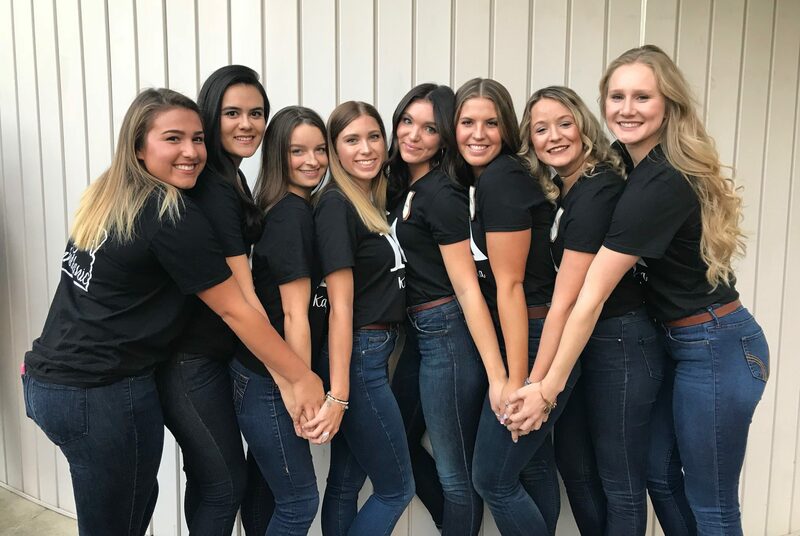 It is highly recommended that women participating in formal recruitment have at or above a 3.0 cumulative high school or college GPA at the time they are seeking membership. Please note that meeting this minimum does not guarantee membership in a sorority, but that scholastic standards are a component of the membership selection process and each chapter is different. Also note that not meeting this minimum does not disqualify you in the process, either. o Yellow Zone = Your options are more likely to be limited by your GPA. (2.6-3.19). I AM NO LONGER GOING THROUGH RECRUITMENT. HOW DO I GET MY MONEY BACK? Unfortunately, Panhellenic will not refund your registration fee except in very specific cases (example: you are male and accidentally registered for fraternity recruitment via our registration link). If you believe you may have an applicable situation, please contact Josie Eissinger, Vice President of Recruitment, at [email protected]. I HAVE SIGNIFICANT CLASS AND WORK CONFLICTS WITH THE FORMAL RECRUITMENT SCHEDULE, SHOULD I JUST SKIP CLASS? NO! 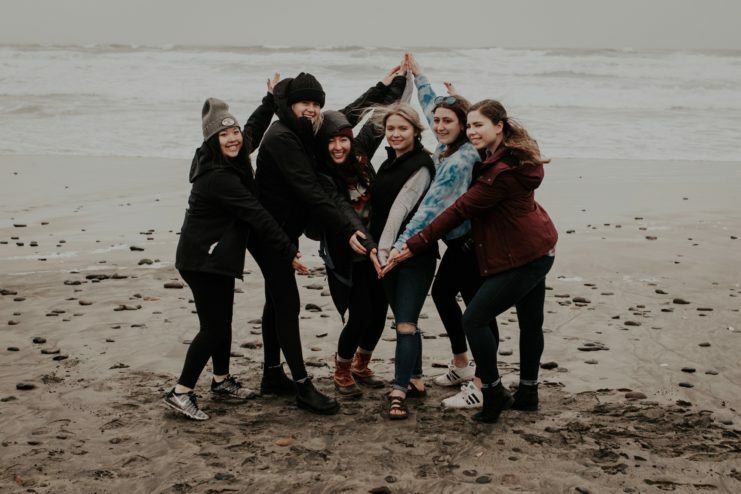 At the University of Oregon and a potential member of the Panhellenic community, you are a student first and you are held to high scholastic standards. Therefore, please do not skip class in order to participate in recruitment. You will have your class schedule well before recruitment starts and any conflicts can be discussed with Panhellenic and your Rho Gammas before recruitment begins on October 4th. As for work or other activities, if you want to participate in recruitment we encourage you to do your best to avoid schedule conflicts and request work at different times if possible. IS PANHELLENIC SORORITY LIFE ONLY FOR UNDERGRADUATE STUDENTS, OR CAN GRADUATE STUDENTS ALSO PARTICIPATE? Panhellenic sororities are undergraduate-only organizations. CAN I GO THROUGH FORMAL RECRUITMENT AS AN UPPERCLASSMAN? Yes! Any female registered as a UO student in Fall 2017 may go through Fall Formal Recruitment, regardless of class standing. 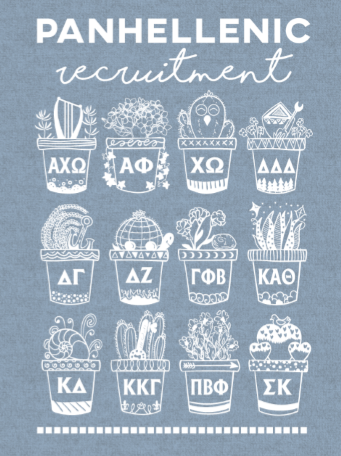 WHAT CHAPTERS WILL BE PARTICIPATING IN WINTER AND SPRING 2018 INFORMAL RECRUITMENT? The chapters participating in Winter and Spring Informal Recruitment varies year by year. Please contact [email protected] to be added to the Interest List. Please provide us with your name, email, phone number, class standing, GPA and legacy info (see “What is a legacy?” below). IF I END UP JOINING A SORORITY THROUGH EITHER FORMAL OR INFORMAL RECRUITMENT, WHEN IS THE SOONEST I CAN MOVE INTO MY CHAPTER HOUSE AND HOW LONG DO I NEED TO LIVE THERE? It is a University of Oregon requirement that all freshmen-status students live in an on-campus dorm during their first year of college, despite a few particular circumstances decided by University of Oregon Housing. Most women choose to live in their second year of college for the entire year, and as of right now if it is a two-year live-in requirement for new members. Living with your sisters in your chapter house provides an unforgettable experience and is often cheaper than living in on- or off-campus housing. Each chapter is different regarding requirements, so please talk to your chapter’s housing coordinator for details. WHAT IS A LEGACY AND HOW DO I KNOW IF I AM ONE? A legacy is a woman who has an immediate relative that is a member of a sorority. Every chapter’s standard of a legacy differs but usually, it includes mothers, sisters, grandmas, and sometimes great grandmothers and aunts. Please check appropriate chapter legacy information by reviewing the individual organization’s policy by visiting the chapter’s inter/national website. There is a zero-tolerance hazing policy at the University of Oregon. The Panhellenic community condemns hazing, as it in no way achieves the goals of sorority membership-leadership, service, sisterhood, and scholarship.